Oh ya, these are yummmy! Nothing compares to the flavor of grass-fed Angus beef! These ribs were part of a side of beef purchase we made with friends from Hill Creek Farms - Hartsville and they are amazing. Just look how much they plumped up! 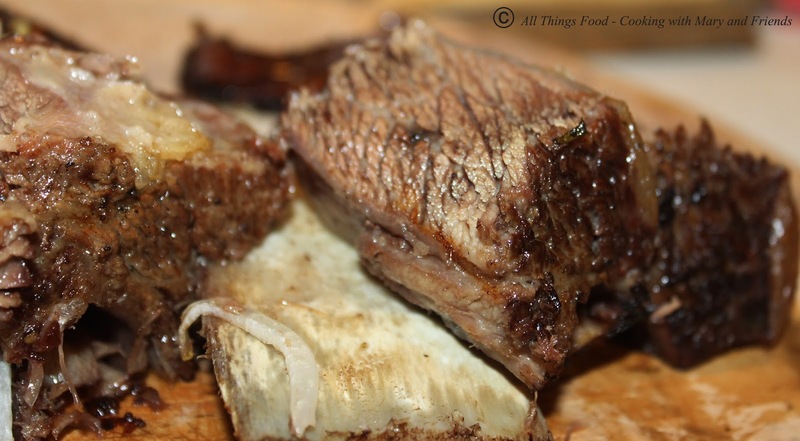 Short ribs are a cut of beef taken from the brisket, chuck, plate, or rib areas of beef cattle. 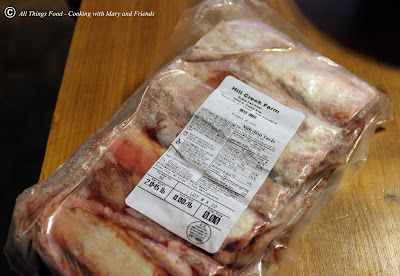 They consist of a short portion of the rib bone, which is overlain by meat which varies in thickness. There are two major types of cuts: The "flanken," which is cut across the bone and leaves the bone just 1 to 2 inches (2.5 to 5.1 cm) in length, and the "English," which is cut parallel to the bone and leaves the bone up to 6 inches (15 cm) in length. English cut short ribs may be served individually, or three or four may served connected to one another (a style known as the "plate"). Short ribs are popular in many international cuisines. 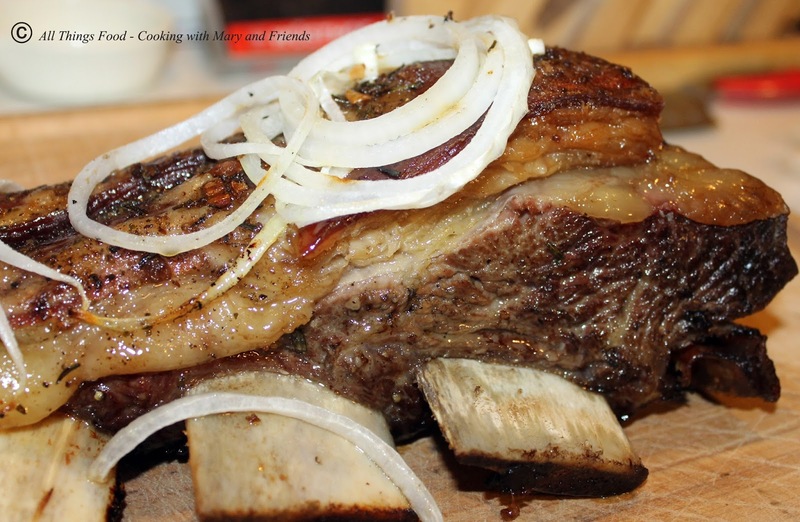 Short ribs generally require long periods of cooking in order to break down the connective tissues in the meat and make the meat tender. Methods of preparation include braising, stewing, and sous-vide. 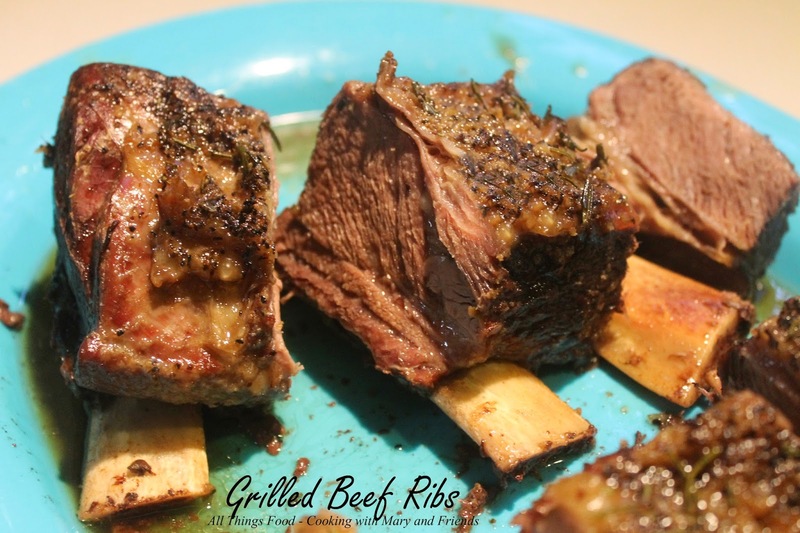 Short ribs may also be barbecued, a popular method that subjects the beef to high heat in a relatively short period of time. 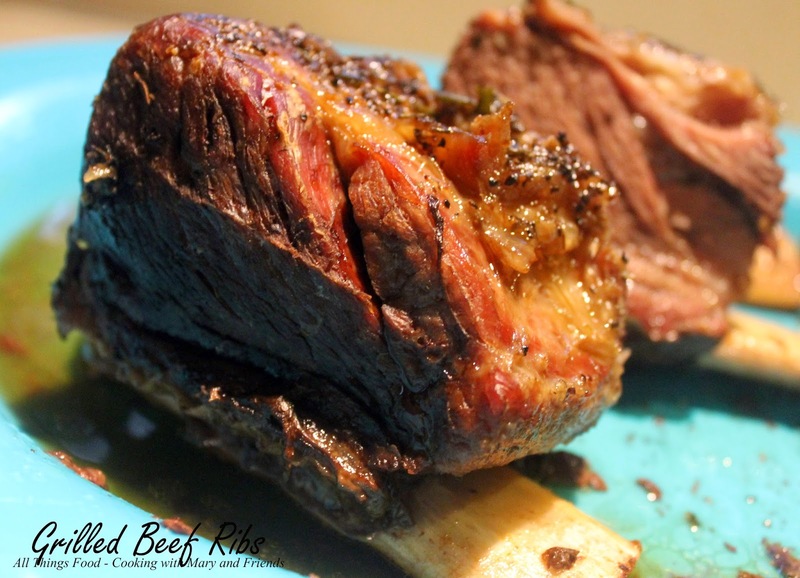 Beef ribs are inexpensive, and when cooked right are delicious and taste much like prime rib. 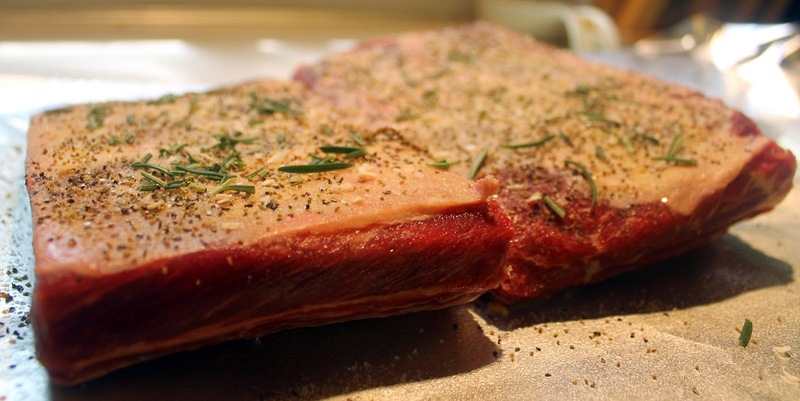 Sprinkle spices liberally over top, or fat side of beef ribs. Top with sprigs of fresh snipped rosemary. Seal ribs tightly in aluminum foil and grill over low-off-low heat 2 1/2 hours. Open foil and continue to cook an additional 30 minutes. Ribs are done when bone slips easily away from the meat. Remove from grill and allow to rest 5 minutes before serving. To serve cut rib rack into individual ribs.